Some 135 countries have constitutional provisions for free and nondiscriminatory education  for all. Seventy-three countries guarantee the right to medical services . And 41 countries have either enshrined the right to water  in their constitutions or have framed the right in national legislation. All of these actions are aimed at protecting the rights of poor people. Yet, it is poor people who are losing out on access to these services. In Mali, whereas almost everyone has access to a primary school, and 67 percent from the richest quintile complete primary school, only 23 percent  from the poorest quintile do. The percentage completing higher levels of education is in the single digits. In rural India, in the period since the Right to Education act was passed, student learning outcomes in public schools have been declining . Equatorial Guinea, with a per-capita income of $20,000, has a child mortality rate  of 118 per 1,000 births, comparable to that of Togo with a much lower per-capita income. As a result of intermittent (or nonexistent) water supply through networks, poor people in South Asia and Africa have to buy water from vendors at 5-16 times the meter rate . What’s going on? Too often, the rights to education, health and water have been interpreted as the government’s financing and providing these services. But governments have limited resources. With limited resources, welfare economics tells us that governments should spend on: (i) those things that the private sector will not finance—public goods and externalities; and (ii) redistribution. By neglecting these principles and spending on private goods, governments have shortchanged poor people—the very people these rights were intended to protect. For example, the lion’s share of public spending on health goes towards hospitals—largely a private good. In the absence of insurance markets, rich and poor people need hospitals for catastrophic care—to treat heart attacks, strokes, etc. Since the rich have greater political power, they make sure these hospitals are located near where they live—in urban areas. The result is that, in India, about 33 percent  of public health spending accrues to the richest quintile, while less than 10 percent goes to the poorest quintile (Figure). Similarly, governments provide quality higher education for free or at a low price on grounds that poor people should not be denied a university education because of cost. Given excess demand, governments ration entry to these universities by an entrance exam. But free high-quality education is a huge benefit to anybody who can get it. So the rich send their children to the best secondary schools in order that they have the best chance of passing the exam and entering university. The result is that most of the students at public universities come from the richer quintiles. And higher education is expensive. 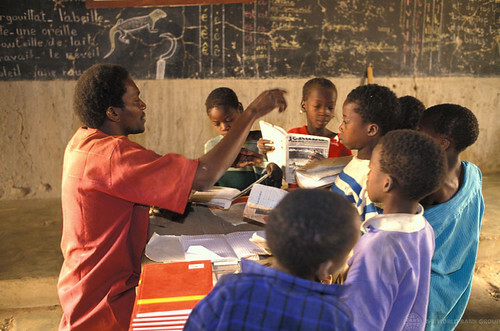 In Africa, about 43 percent  of public education resources go to the richest 10 percent of the population. Governments subsidize water (another private good) in order to enable poor people to get access to it. But a subsidy means that politicians control the water utility that receives it. They send the water to neighborhoods where their political clients live. Those left out, frequently the poor and marginalized, have to buy water from vendors at much higher prices. In light of all this evidence, it is tempting to suggest that governments stop financing private goods, like hospitals, higher education and water, and refocus public spending on public goods and externalities, such as sanitation . Unfortunately, this is almost impossible politically. The non-poor, who have captured the rents from government financing of private goods, will resist every attempt at having them cut—witness the protests against raising university tuition fees or water tariffs in most countries. Furthermore, since politicians can exercise control over the allocation of these rents, they too will resist. What can be done? One approach would be to invoke another right, the right to information. Poor people can be a powerful political force for change—if they are informed about how much they are losing by government’s continuing to spend on private goods that are captured by the non-poor. The experience with information campaigns on public expenditure leakages  and community-based monitoring  is promising. But we need to better understand how information influences citizens’ behavior before we can scale up these efforts. A second approach harks back to the second role of government, namely, redistribution. Public spending in the form of subsidies or free services is often justified on this objective, although as we have seen, the redistribution is frequently in the wrong direction. To achieve real redistribution, therefore, the most efficient method is to give cash to poor people. Rather than subsidies that risk being captured by the non-poor, giving cash to poor people to purchase private goods in the market has a better chance of public resources’ going to those for whom they were intended. To be sure, this approach will also be difficult politically, but it could serve as a useful benchmark against which alternative proposals can be measured.